As per a survey done over millennials asking them what their most important life goals were, most of them said that they wanted to get rich and famous. But is money the secret to the happiness? People say NO, money is certainly not the reason to bring happiness, but should we completely forget the cash? A few times, my wallet was stolen and this never made me happy. Even I was gloomy for days thinking about the cash loss. It was Vibhu's last exam today. I can't say about his happiness because he is still too young to express his worry or joy about this matter, but I am happy. It was Vibhu's first school year. Everything was new. New city, new school, and new people. On top of it, he joined school 2 months late. As it was a mid session admission, no as such joining test or interview happened. It was just one day his father took him to school. Back home I was so tensed that how would he behave there! As I always say, he is a blessed kid. He was all fine in school. Now his first school session is over. He did well in his class and I am so proud of him. 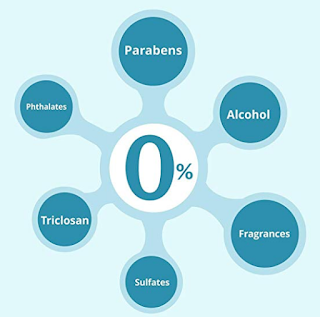 For today's parents, the most go-to baby care product is wet wipes. From a newborn to even tweens, mothers are using these wipes, as they make a huge difference in the smell and comfort of the kid. My son is 4 now and I still keep wet wipes handy whenever I go out with him. They are easy to carry and use. These baby wipes are designed to give ease of cleaning any sort of mess with taking away bad odors. And I am in love with them. Do you naturally drink a lot of water in wintertime or do you need to force yourself at it? With winters comes a common health issue; less water intake. When the weather gives us chills, we don't really feel the need of drinking water all day long. But the reality is less water intake affects many of the body function like digestion and detoxification. On one side, most of us crave warm drinks and bigger flavors during winter, the other side we feel lazier in preparing them. Isn't it? Let me be honest here about my behavior in this cold season (it is still cold here in Lucknow). I want to remain inside my quilt all day when I am not in office. I even wish to eat sitting at my bed only and I hate going anywhere if it is not sunny outside. All I remember "No winter lasts forever, no spring skips its turn." The biggest messiah for me this time is a hot cup of Tea. 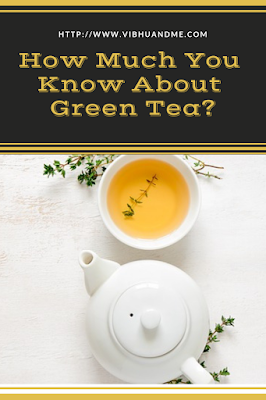 How Much You Know About Green Tea? I like reading about natural and local food. When I read about their origin, benefits, and consumption, I find myself more connected to our food wisdom. Because of all these traits, our ancestors included specific food item in our diet. And based on their natures, certain food items became part of daily intake while others got the place in celebration feast. A few years back, when I first heard about Green Tea, I was confused. I was already a tea addict and milk tea was my every morning cuppa. But to try it out, I made mind to buy it myself as the whole office was going gaga over green tea benefits. I bought my first pack of green tea bags and slowly my taste buds started liking the unique flavor of green tea. We all know that green tea comes with ample of benefits. 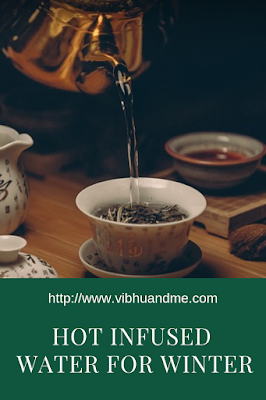 However, in this post, I am going to cover some other aspects of green tea. This post is for New Year resolutions blog train. The blog train is hosted by Vartika, Alpana and Prerna, sponsored by Pandora's Box and Recipe Dabba. 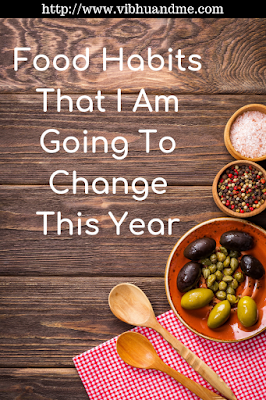 My topic is Dr Feelgood - How are you planning to tweak your Food Habits for 2019 . We all desire to stay healthy and happy. Yes, happiness is very much connected to our health. But today's sedentary lifestyle has made us fall for quick meals and unhealthy choices. Over the course of time, these quick things give us side effects that rather don't go quick. Eventually, we fall prey to weight loss industry which asks for cutting sugar, salt, oils, carbs, dairy product and almost everything which is there in our kitchens since our grandparents time. We run after different diets (Ketogenic diet, Vegan diet, Raw food diet etc) and we even believe in schemes like having dinner before sunset, getting rid of rice, keeping a distance with fruits and avoiding any type of fat. I would like to start this post with telling readers my profession. I am a software professional who has a decade of experience in technology and software development. In those 10 years, I have very closely seen how technology has evolved. Of course, the first urge was the necessity that let every invention happen. And then technology got advanced to make the user experience better and further sound. 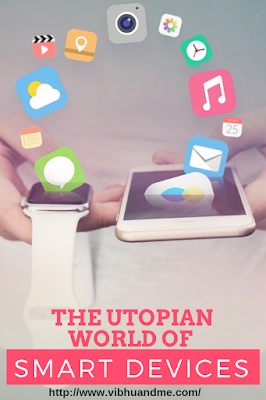 In the chain of making every sort of experience pleasanter for users, the era of smart devices came. We all remember the time when smartphones came into the market. Before that, we had those dial phones and keypad mobiles. We were able to talk to the other party. But the progression of technology made it real to actually see with whom we talk. We still talk through phones but with added feel and warmth. It's High Time to Be A Responsible Party Animal..
As the jingle bells are all set to greet us, we all are moving ahead to enjoy our year end celebrations. Beautifully decorated Santa has started attracting selfie taking crowed and most of us have planned their year end parties or perhaps would be ready to fix our presence at a club, disco, garden or such other place. At one hand rich people are booking their presence at beaches, cruise and resorts others have plans visit to a country club, amusement park or zoo with their family and kids. Remarkable new year Eve celebration is also being planned by residential societies where all the residents enjoy in pocket friendly manner. All in all, we all love partying at the 31st Eve. But do we really have the civilized sense of partying is a big question here.